When working on losing fat (weight loss), many people respect a more natural approach instead of drugs that have dangerous side effects. But what are good to take and do they work? One of the 5 most powerful weight loss ‘helps” and one that is very popular for the properties that have been shown to work is, Garcinia Cambogia. Garcinia Cambogia is a tropical fruit also known as the Malabar tamarind. Medical studies have shown that this powerful nutraceutical blocks your body’s ability to make fat and helps to reduce ‘stress’ eating, it has been shown it helps to normalize blood sugar and cholesterol levels. How it works is due to the active ingredient in the fruit’s rind, called hydroxycitric acid, or HCA and has shown to cut appetite and blocks an enzyme called citrate lyase, which your body uses to make fat. It also raises levels of the brain chemical called serotonin, which may help you feel less hungry. Serotonin is the chemical that is released when you eat out of stress or in the evening and nighttime hours. When taken, there is no need to eat when you are not hungry. Garcinia Cambogia is not a magic pill meaning it doesn’t work if you are not on a healthy customized diet plan and incorporating other healthy habits such as exercise and limiting processed foods loaded with chemicals, preservatives, and food additives. It is only a powerful tool. Is it Safe for Type 2 Diabetics and People with High Cholesterol? Yes! Garcinia Cambogia may make it easier for your body to use glucose, the sugar your cells need for energy. In studies were mice received Garcinia Cambogia it was shown that it lowered insulin levels more than the mice that didn’t. That’s another reason, besides weight loss, that people with diabetes or people who lose weight slowly are interested in it. If you are diabetic, the herb will lower your glucose levels so, close monitoring of your glucose levels so that is doesn’t fall to dangerous levels is crucial do not get dangerously slow. 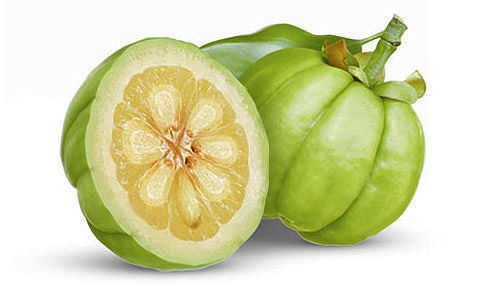 Some research has found that Garcinia Cambogia can also improve cholesterol levels, lowers triglycerides and LDL (the ‘bad” cholesterol levels and raising the HDL (the good cholesterol). decreases absorption of glucose from the ileum. An overview of the safety and efficacy of a novel, natural(-)-hydroxycitric acid extract (HCA-SX) for weight management. Preuss HG, Rao CV, Garis R, Bramble JD, Ohia SE, Bagchi M, Bagchi D. J Med. 2004;35(1-6):33-48. Physico-chemical properties of a novel (-)-hydroxycitric acid extract and its effect on body weight, selected organ weights, hepatic lipid peroxidation and DNA fragmentation, hematology and clinical chemistry, and histopathological changes over a period of 90 days. Shara M, Ohia SE, Schmidt RE, Yasmin T, Zardetto-Smith A, Kincaid A, Bagchi M, Chatterjee A, Bagchi D, Stohs SJ.Mol Cell Biochem. 2004 May;260(1-2):171-86. Hydroxycitrate has long-term effects on feeding behavior, body weight regain and metabolism after body weight loss in male rats. Leonhardt M, Langhans W. J Nutr. 2002 Jul;132(7):1977-82. Effects of a natural extract of (-)-hydroxycitric acid (HCA-SX) and a combination of HCA-SX plus niacin-bound chromium and Gymnema sylvestre extract on weight loss. Preuss HG, Bagchi D, Bagchi M, Rao CV, Dey DK, Satyanarayana S. Diabetes Obes Metab. 2004 May;6(3):171-80.